string(1198) "Resource Centre > Uncategorized > Free and Fair Labor in Palm Oil Production: Principles and Implementation Guidance"
Palm oil production often relies on forced labor and other modern forms of slavery. Even those plantation and mill workers not subject to forced labor face harsh working conditions and challenges to basic human and labor rights. 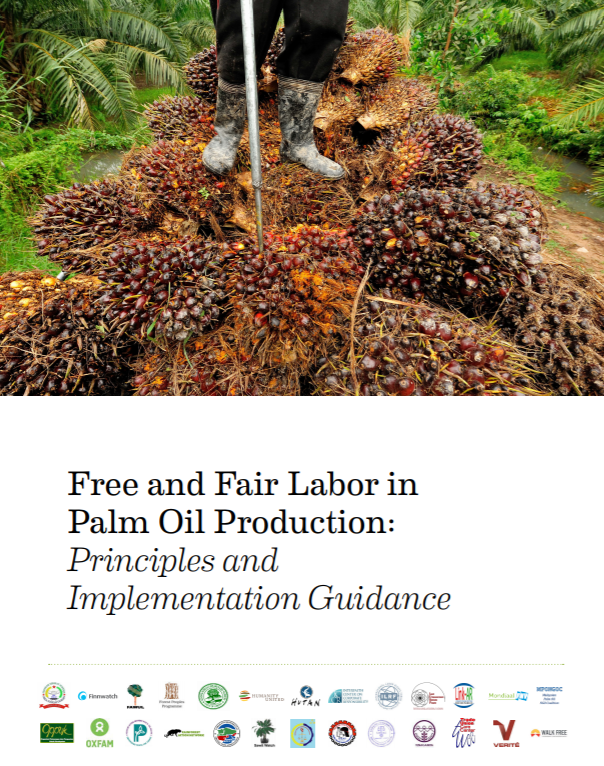 The Free and Fair Labor Principles (“Principles”) and corresponding Implementation Guidance (“Guidance”) is intended to support and advance the ongoing dialogue on responsible palm oil by providing a common point of reference on what constitutes free and fair labor in palm oil production.